More camps are strategising. 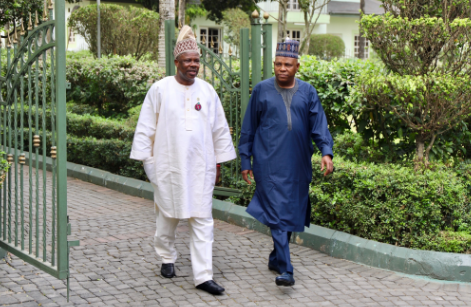 Ogun State Governor, Ibukunle Amosun, and his Borno State counterpart, Kashim Shettima, engaged in a long discussion on Tuesday. It was said that his meeting with Shettima on Tuesday might not be unconnected with the decision of the All Progressives Congress (APC) to adopt a candidate for the position. 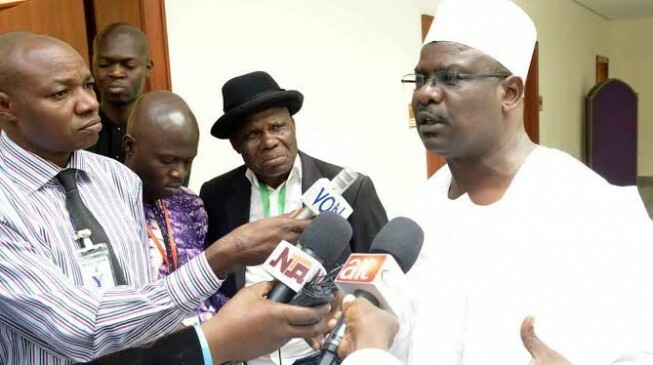 Their body language when they saw an aspirant to the post, Senator Ali Ndume, also fuelled the suspicion as the two governors engaged the former senate leader in a brief discussion before resuming talks. Ndume is from the same state with Shettima. The governors returned to the venue of the programme after they had discussed for over one hour. Ndume was also seen engaging other senators-elect in discussion on Tuesday at the venue of the programme. He told The Punch in an exclusive interview that his colleagues should not be seen as his followers. The senator said many senators-elect had assured him that they would work for his victory.